Orlando Mayor Buddy Dyer with soccer owner Flavio Augusto da Silva at a press conference announcing new changes in the MLS stadium project once again. But Dyer had it wrong at his own press conference and the mayor lied in front of all the media cameras. 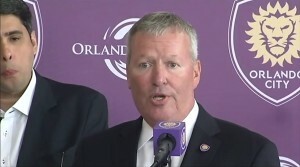 There may be a big reason why Orlando Mayor Buddy Dyer and city officials have been quiet about any details surrounding the latest “deal” involving the Major League Soccer stadium. In fact, Buddy Dyer’s blunders are adding up and his latest plan to convince the team owners to privately finance and privately own their MLS stadium may be more problematic than the Mayor realized before calling his press conference last week. At last week’s impromptu City Hall press conference, soccer team owner Flavio Augusto da Silva admitted his team needed a “much bigger” stadium than the previously proposed design. “We need a bigger stadium,” he said a few times. In even better news for taxpayers, Augusto da Silva also declared the team would privately fund and own the stadium – which is a good thing and rare in the professional sports world these days. This was Buddy Dyer’s latest solution and he was openly very excited about the news at the press conference. But Buddy has a bigger problem – and one he caused earlier in the process. In his rush to stop the ongoing bleeding with this project, Dyer forgot the ramifications of his prior use of eminent domain to acquire the stadium site. As many will recall, Faith Deliverance Temple in Parramore stood up to the Mayor and forced the City of Orlando to ultimately drop their eminent domain case against the church. However, Mayor Dyer did seize other land surrounding Faith Deliverance Temple by eminent domain while he was trying to intimidate the church into selling their land for the soccer stadium. Last year, Circuit Judge Patricia Doherty ruled in favor of the City of Orlando in the first eminent domain case for land next to the church and the City was ordered to deposit more than $3 million as an estimate of the parcels’ value. With these properties, Dyer hastily made the decision to close Parramore Avenue and shift the stadium location to avoid an actual court case against Faith Deliverance Temple. There is no legal way for Buddy Dyer to promise the City of Orlando will sell – or lease – the Parramore land designated for the new soccer stadium to the team after he used eminent domain. The statute does outline one exception if less than 10 years have passed, but the governmental entity must document the property is no longer needed for the use or purpose (which will be hard to argue since it will still be a soccer stadium), and the City must allow the previous owner whom the property was taken by eminent domain the chance to repurchase the land back. In this case, who would not do that? The previous land owner could then demand five times the amount from the billionaire soccer team owner, or even more if they decide to sell at all. Also, Florida Statute dictates that this must follow public notice and competitive bidding, which means Dyer is not going to be able to just sell the land to the team for “fair market value” as he promised at the press conference. Who knows how many other speculators may be interested in bidding on this downtown property? “This is just another hasty decision that only makes the whole situation more complicated,” said Lawanna Gelzer, candidate for Orlando City Commissioner, District 6. Gelzer and I are the co-founders of the Fight Back Coalition in Parramore and have been following this issue from the very beginning. “Change is needed now more than ever to protect the integrity of public process and check the powers being abused by City Hall,” Gelzer added. Gelzer has been active organizing throughout Parramore and surrounding areas and is the only candidate or elected City Commissioner calling for more details and transparency. 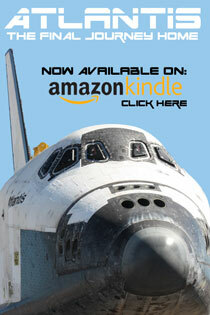 However, there could be a true opportunity for a win-win solution here. Dyer also admitted “with private funding, they could have put the stadium anywhere.” Dyer openly stated the site location was the City’s choice. This means the privately owned and funded MLS stadium can re-evaluate and select a different location. One of the major problems with the new proposed MLS stadium has always been the location in the heart of Parramore. The location is being used as part of Mayor Dyer’s larger gentrification of Orlando’s historic African-American neighborhood. All along, the location has been problematic causing headaches for the team, fans and local area residents. As an organizer who has been working with the residents of Parramore for several years now, it almost feels like the neighborhood and community continues to fight back against this stadium and the overall gentrification caused by Dyer’s over-development. If the team now moves the stadium site location, Parramore Avenue can re-open, the historic Carver Theatre can be rebuilt as planned on the site and Fire Station #2 could also be rebuilt as just one of many possibilities. Our community could heal some wounds with Parramore and actually fulfill some of the promises made by Mayor Dyer and the City Council over the years. So let’s recap Mayor Dyer’s latest blunder from the press conference. First, Dyer claimed the City of Orlando will sell the stadium site to the soccer team. Not allowed. The soccer team agreed to privately fund the entire stadium and the team agreed to pay for the necessary retention pond. This sets a good precedent moving forward for all private entities to pay for the associated infrastructure, but who knows what will happen now. Dyer reiterated the need for a bigger stadium, meaning anything less than a larger stadium simply will not work (and the public funds to accomplish such a feat clearly are not available, nor warranted). Mayor Dyer also claimed the latest shift in plans would generate property taxes since the stadium would be privately owned. Because of Dyer’s reckless and hasty actions leading up to this point, there are serious legal hurdles further complicating this entire project. Either way, there is yet another soccer stadium dilemma. According to Mike Bianchi of the Orlando Sentinel, the new soccer stadium deal was done over drinks between Mayor Dyer and Orlando City founder and team president Phil Rawlins. Dyer had a Bloody Mary and a glass of wine. This is as sloppy as you would imagine a Buddy Dyer bar room deal to be. Augusto da Silva may be rethinking his praise for Dyer’s competence and speed in changing plans. What else will he need to rethink moving forward? One Response to "Buddy’s Big Blunder Causes Another Soccer Stadium Dilemma"
I expect they have wanted it by international drive all along. This is private enterprise backing out of their what 30 million they’d have to pay if they back out. I wish we could look over the shoulders of the city attorney. Some of the worse lawyering for citizens I’ve ever seen comes from them. It will be an agreement that appears to build a stadium. But doesn’t.